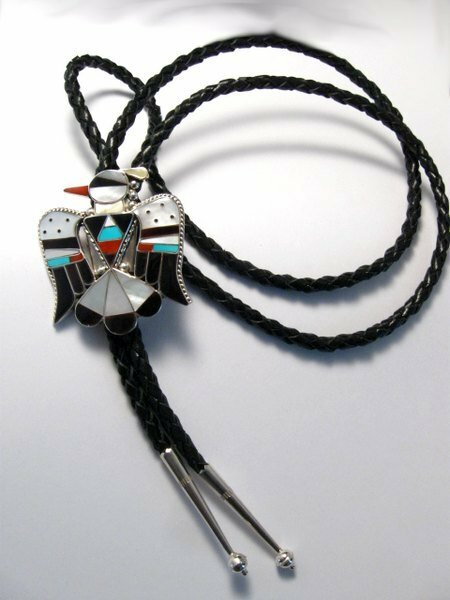 Up for you consideration is this stunning sterling silver multi-stone inlaid Thunderbird bolo, handmade by Zuni master silversmiths Bobby & Corraine Shack! Precision cut pieces of top grade turquoise, coral, Mother of Pearl and Black Jet were meticulously set in sterling silver channels. Hand twisted sterling wire and silver dots add more exquisite details! 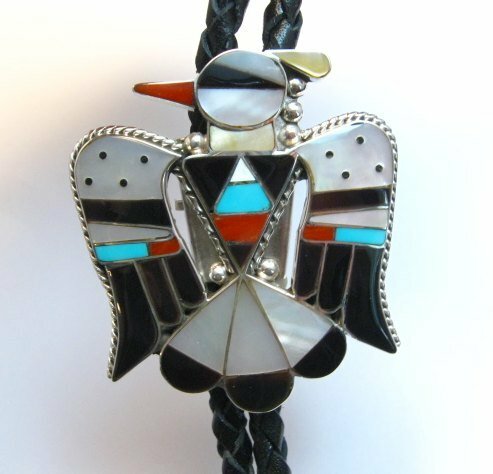 The Shacks use this beautiful thunderbird design in rings, earrings, bracelets, and necklaces. 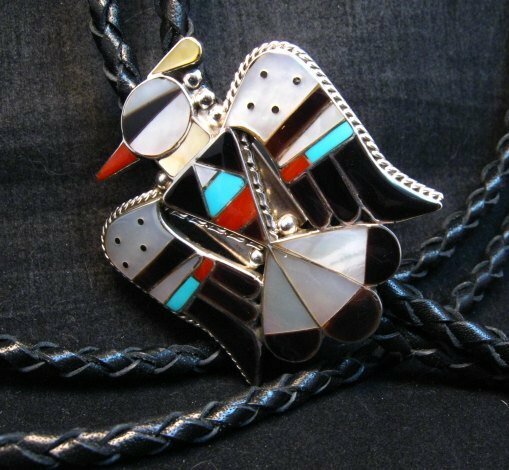 Bobby & Corraine Shack's jewelry was featured in the book Zuni The Art and the People, Vol II, 1976 page 40 &41 and many other Zuni and Native American jewelry reference books. 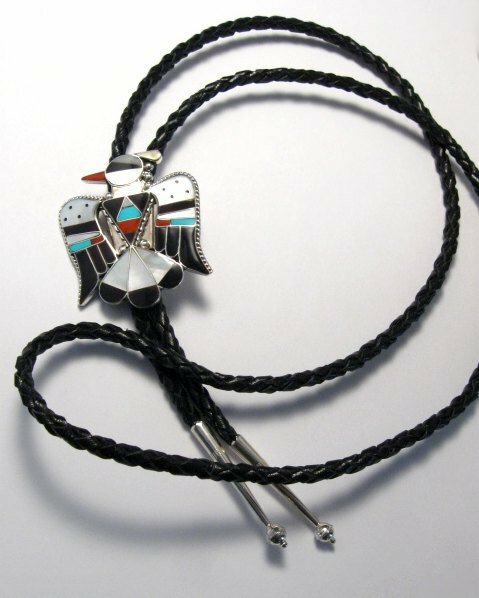 The main bolo piece measures 2 inches long by 2 inches tall. 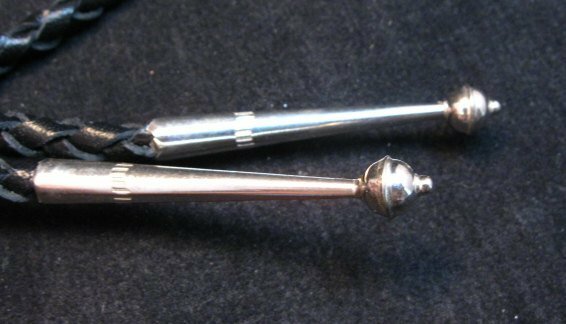 The sterling silver tips are 1-3/4 inches long. the heavy black leather cord is about 44 inches long including the tips - tip to tip. Brand new and in perfect condition. 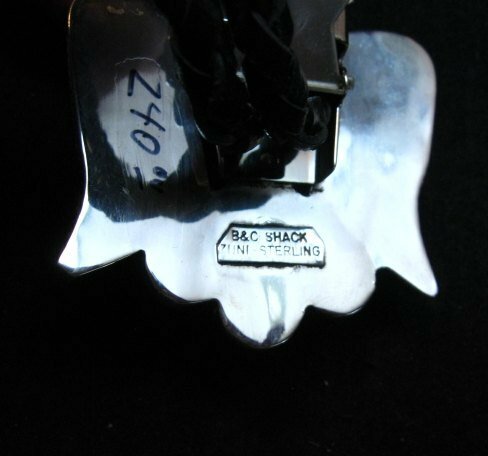 Hallmarked B&C SHACK ZUNI-STERLING on a silver plaque the artists, Bobby & Corraine Shack. Authenticity Card and gift box included with your purchase.